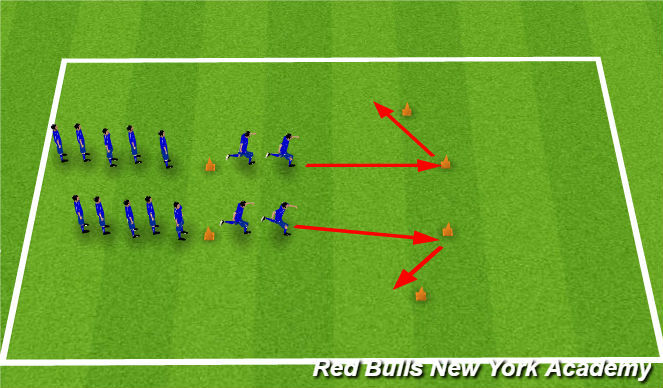 Instructions: Players move in lines (as soon as one goes, next player goes) to the far cone and back jog it in to the back of the line. Exercises include; jog, side-side, knees-up, heels-up, open/close gate, hamstring kicks, lunges etc. Organization: x3 groups of 4 players. 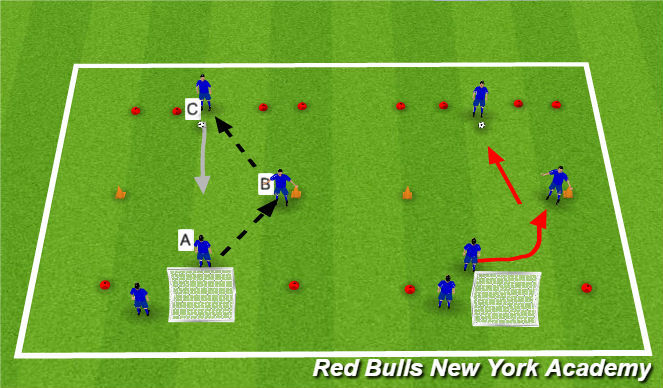 Instructions: Player A with the ball passes into player B in the middle (between orange cones), who recieves it on the back foot and passes to the furthest player C. Player A defending the goal closes down the player on the ball - who dribbles back to the start while the defending player gets a defensive stance and shuffles backwards. Players rotate (player who passes it - goes to middle, middle player - goes to far cone, player that dribbles - returns to que. 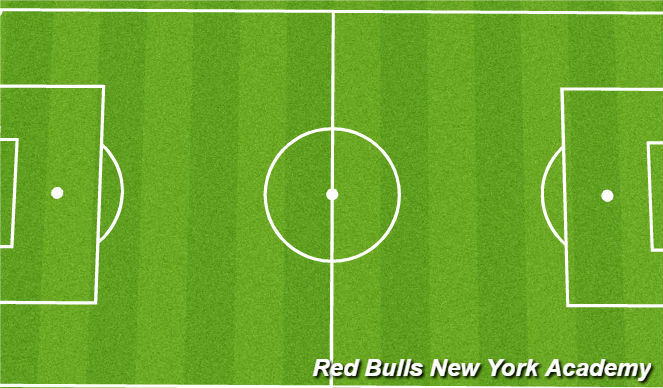 - Defender curves run to block middle player shooting on goal, then closes down attacker. - Full pressure, close down and win ball. Attacker to score in mini goal, defender to win ball and dribble through red target goals. - 1 point for a goal scored on mini goal, 2 points for a defensive goal. - close down quickly, slow down, get low, arms length away, try to nick the ball away.